The sun, stress and pollution can all contribute to imperfections in your skin. Fortunately, peel procedures can remove these imperfections and turn back the years. As much as we like to believe otherwise, our daily lives show up on our body in one obvious place – the face. For men, the slightly weathered look can be an attractive option as can well groomed gray hair. For women, facial blemishes, wrinkles and uneven pigmentation can give rise to unhappiness on a big scale. Peels offer one option to counter the impact. 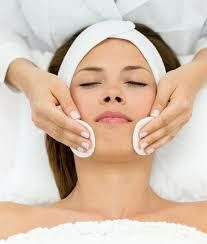 A facial peel is designed to restore the youthful look of your skin. It is not a form of facelift nor a surgery per se. Instead, it is a technique where the outer layer of your skin is literally peeled off to reveal new skin below. The technique can produce dynamite results when the goal is to resolve wrinkles and blemishes. It can also be used to addressed skin weathered from excessive exposure to the sun or which has developed uneven pigmentation. Importantly, a peel is not designed nor will it accomplish any kind of a lift for parts of the face that have developed a droop including eyelids. Such restorations require facelift surgery. Unlike a surgical procedure, a peel is not for everyone. This is because the peel is only best for certain skin types and pigments. You should consult with a medical professional to find out if you are a candidate for the procedure. In general, however, individuals with fair skin and light damage gain the best benefits. In general, a peel takes roughly one to two hours for the entire face. Some candidates require less extensive peels and less time is required as a result. You are not sedated unless there is reason specific to your situation. Following the procedure, you are going to have some unique sensations. New skin is being exposed to air for the first time, so throbbing, tingling and so on can be common. Your medical professional can fill you on the impact based upon your specific skin condition and procedure. Peels are a very common procedure. They can make a marked difference in appearance without the necessity of invasive surgery.